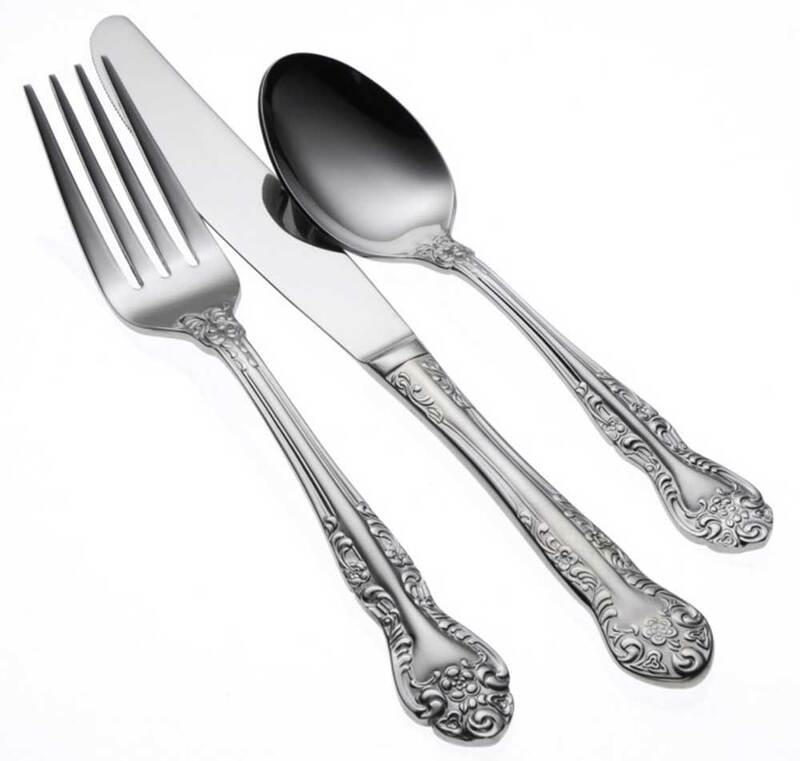 Oneida Rosewood flatware pattern has a distinctive look with the ornate blossoms and scrolls that enhance the curved borders of this traditional pattern. Rosewood's brightly finished design provides a refined and attractive look to virtually any table setting. Constructed of 18% chrome stainless steel this pattern has a quality finish and the long lasting durability you can count on from Oneida.